The Chevy 250 inline 6 was designed as a solid workhorse motor, making them perfect for trucks and daily drivers. Unfortunately these motors weren't designed for power and most of the components need to be mortified for replaced to defy the power constraints. The stock exhaust manifold has a 2" outlet and narrower passages. 2" is tight for larger turbos and decent exhaust air flow. Since Turbo Camaro is getting turbocharged and using 3" piping, the stock 2" manifold just isn't going to cut it. 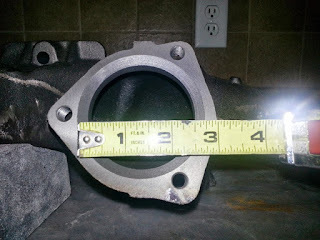 The exhaust manifold from a 292 has larger passages and the outlet is 2.5". Even though it's only 0.5" bigger, that's 25% more air flow and the larger passages bump it closer to 30-40%, which is a significant upgrade. 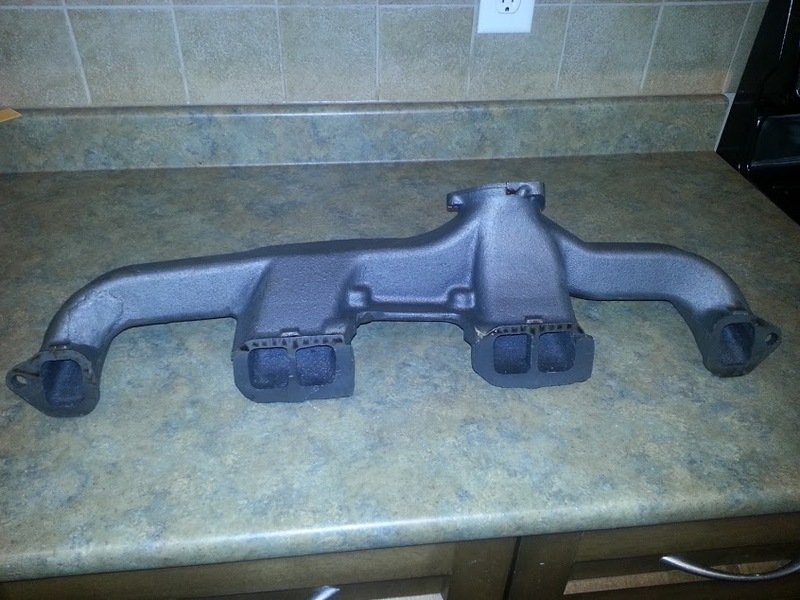 Turbo Camaro received a 292 exhaust manifold that was originally on a tractor. The manifold was purchased off eBay for about $100US. Since this is a stock style manifold, it wasn't designed to run a turbo and doesn't have a port for a wastegate. Some custom manifold like the SPA Turbo manifold have a built in wastegate outlet and the main outlet has a T3/T4 outlet instead of the 250/292's 3 bolt version. The 292 manifold will eventually be modified to accept the SPA Turbo 25mm compact wastegate. Why didn't Turbo Camaro get the SPA Turbo manifold to match the wastegate? The SPA Turbo manifold costs over $400US that's why. Updates to follow. 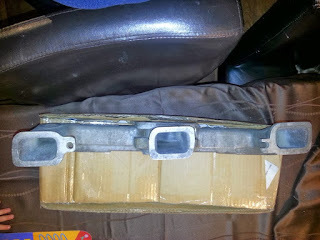 As with the exhaust manifold, the stock intake manifold manifold is solid, but doesn't support an increase in power. Luckily their are several aftermarket intake manifolds that do. Their are two different types of manifolds for this engine, ones that use the heat from the exhaust manifold and the ones that don't. Some of the ones that don't use the exhaust use nothing, and others use warm engine water/coolant. Turbo Camaro needed a heated intake capable of running a Holley 4776 600cfm DP 4 barrel carb. It was decided the Offenhauser 5416 was the intake of choice. 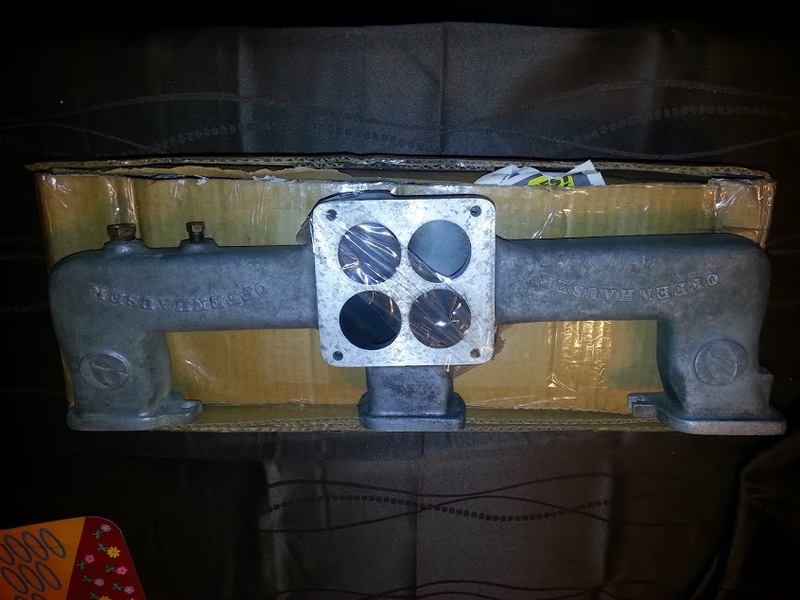 The 5416 is a bolt on replacement for the stock manifold and even mounts to the exhaust manifold like stock. Since the Offenhauser and the 292 exhaust were never shipped as a unit, they don't always mesh well. In order to get the parts to fit against the head properly, they will liky require some modification. Instead of describing the required steps to get these two parts installed, a two part video series was filmed. 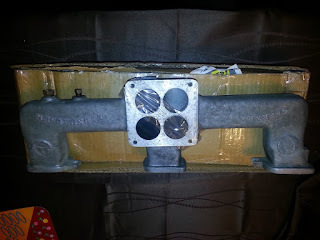 The videos cover the modification, painting, final fitment and parts required to mount a Holley carburetor. More documentation on carburetor installation can be found here. If you have any questions or comments about this setup please contact us via one of our social media channels.